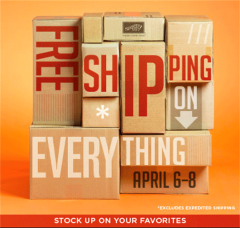 So… I bought the Papillon Potpourri stamp set when this current catalog came out. And, used it once in my easel calendar class back in December and that was it. But I LIKE it. 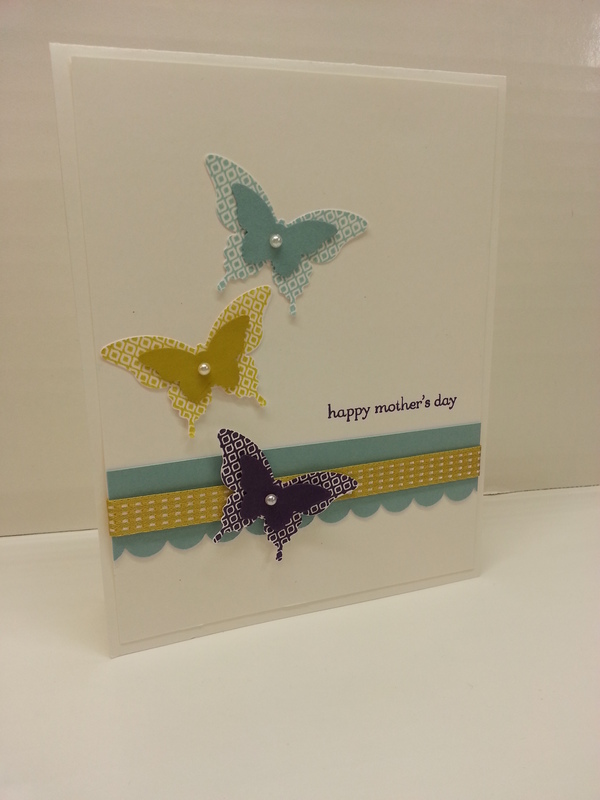 And it makes beautiful cards. I’m sorry I didn’t use it sooner!! We did this as one of our April Stamp Club projects. I love how the big butterfly fits the elegant butterfly punch (and, everyone thought that it was DSP, but it is a stamp–which is great cause it comes in ANY color). 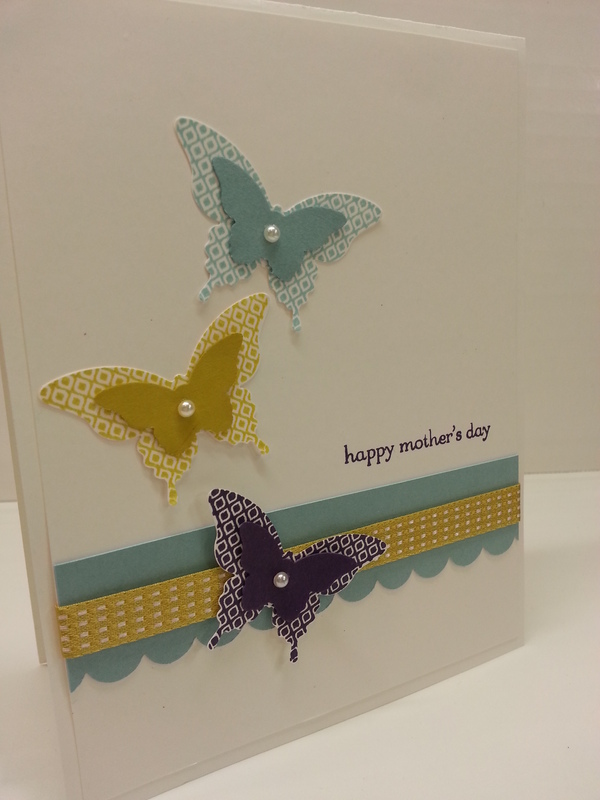 I made this sample as mother’s day (from teeny tiny wishes) but you could add any sentiment. I wish I could say that I made this idea up, but I didn’t. I copied it from Krista Fenton. Pretty much completely copied. Colors and everything. (I did change some little details…) She did such a beautiful job, I figured I shouldn’t mess with that!! Colors used are Baja Breeze (retiring!! ), Summer Starfruit an Elegant Eggplant. 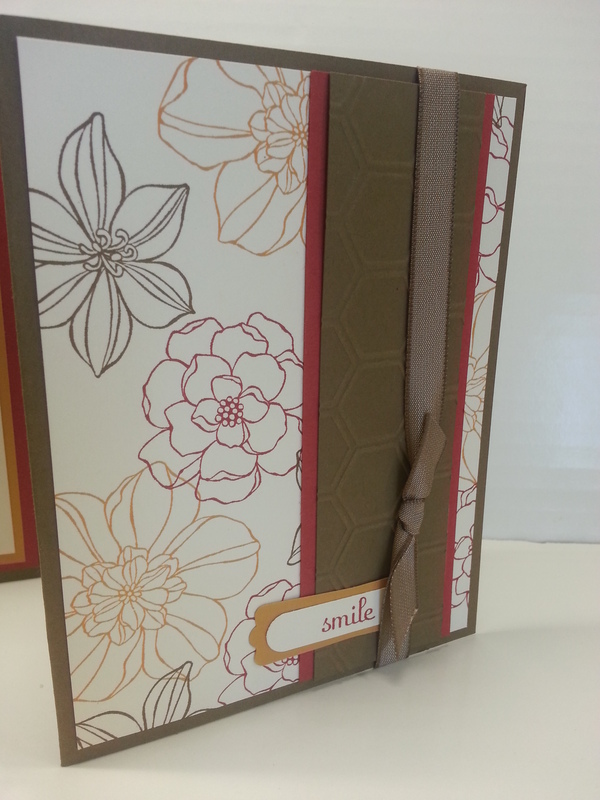 I used the scallop border punch and the Summer Starfruit ribbon to add a little embellishment. It’s so nice and simple. The small butterfly punch is from the Spring Occasions Catalog, but it is going to be available in the 2013-14 catalog as well!! 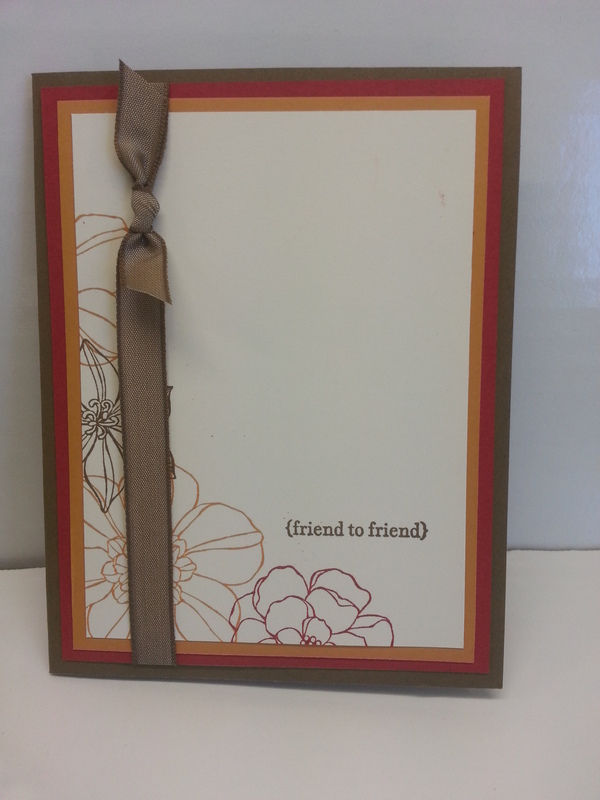 You could make sets of cards like this, with different colors, and change the sentiment. Yeah, And, I know it is white layered on white. And, I used to think that it was a huge waste. And it probably is. But, even in it is subtleness (?? ), it still gives a VERY nice effect. And, that makes it all worth it. (and for those of you who have been following me, I survived the hazardous stamping incident from a few days ago… and, it must have been REAL bad cause the following morning, I went to school with two different pairs of shoes on…) HUM. ANYWAY… BEST OF FLOWERS!! Lots of nice flowers here… And, the flower I use from this stamp set was one of my favorites, until it went into the great stamp beyond… Glad to see it back!! 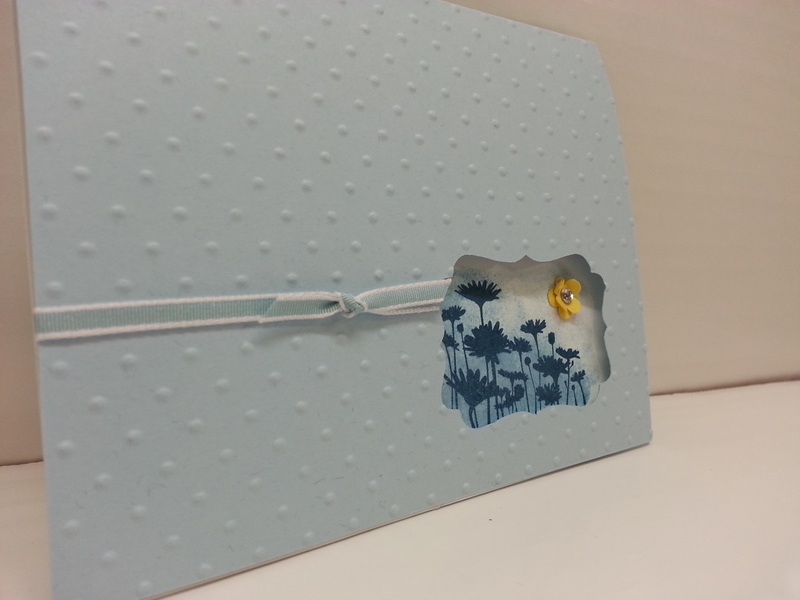 This little flower stamp fits perfectly into the Decorative Label punch.. Makes a nice peek-a-boo window!! 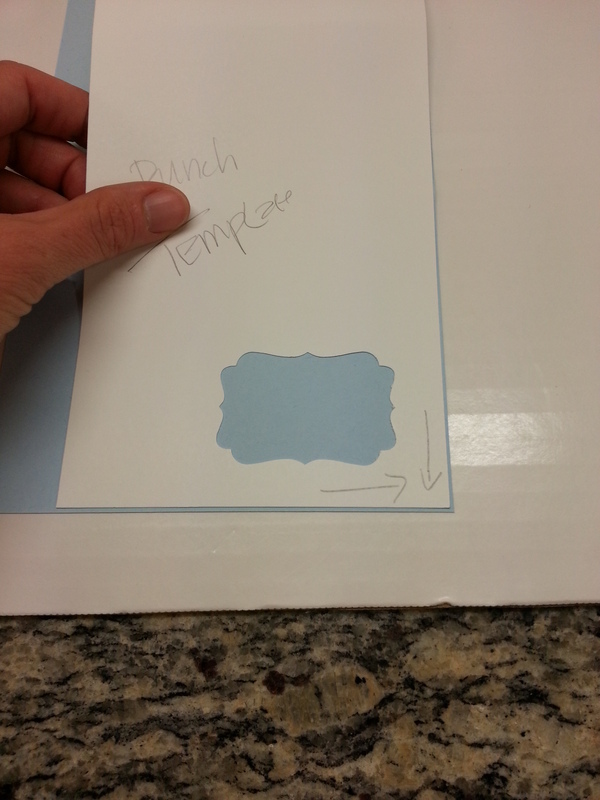 So, I just put the pencil mark on just the inside of the punch and that will make sure the hole on the front of the card is punched in the right place. I also made an INK template… It’s same as the punch template, but I didn’t wanna risk transferring ink to the front of the card. 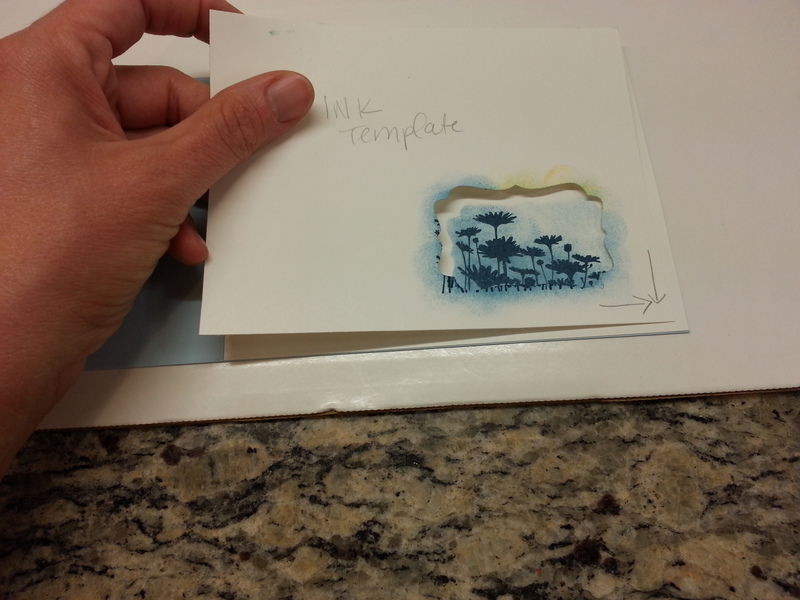 SO… You glue a white panel inside the card, and line the template up on the corners. 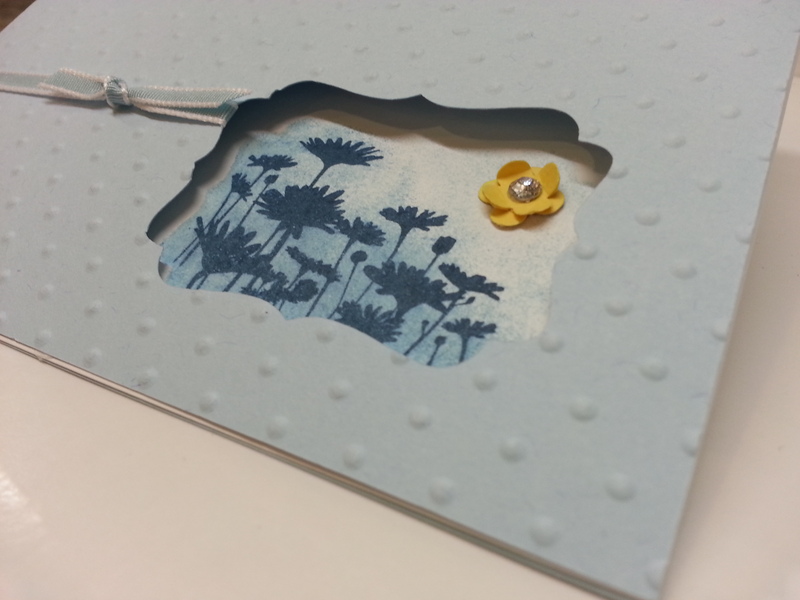 Stamp THROUGH the template hole and sponge.. (I used Midnight Muse for the flowers and bashful blue for the sponging. Ignore the daffodil on the template… I changed my mind..
And, here it is when it is closed… Your flowers peek through the window you made. Embellish it up a little bit…I used the bashful blue taffeta ribbon, I used the little four petal flower punch from the Itty Bitty Shapes Punch Pack. I LOVE that punch. I put a little DIAMOND (my friend likes to spell it DI-HU-MUNDS…) and WHO DOESN’T LOVE THOSE?? (I suppose legal requirements would propel me to explain that they are not really diamonds, but rhinestones). STILL BEAUTIFUL. And, this is what you get!! 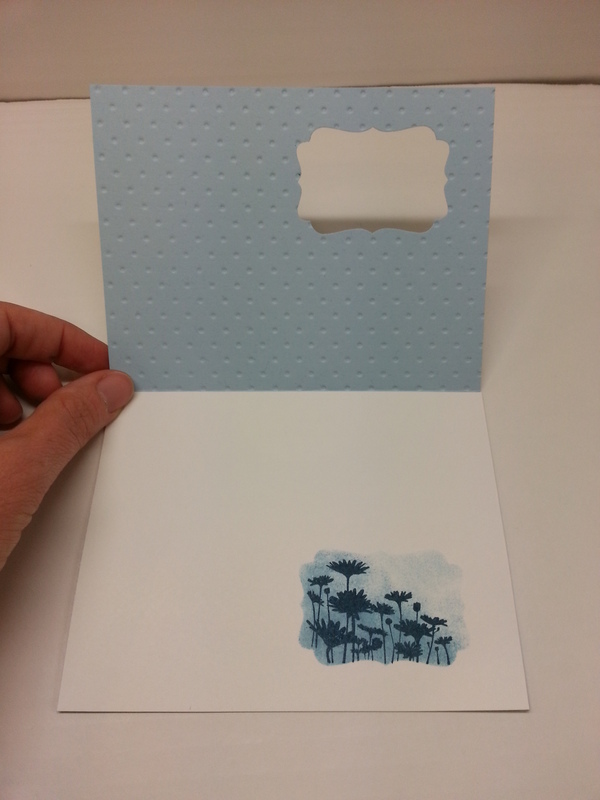 Oh… I embossed the front of the card with the polka-dot embossing folder!! Click below for the link to the next blogs… And ENJOY your tour!! So. I have both my clubs meeting this weekend. And, it’s Wednesday night. And, I still have NO idea what they are going to make. And, I’m trying to put stuff together and nothing is coming and I’m frantically combing pinterest, stampin’ connection, and all my favorite stampin’ bloggers. Nothing. Nothing at all. And, I’m so INVOLVED in scouring these interwebular spectacular inspiration-starters that I don’t notice that my arm has been resting on my staz-on ink pad. BLACK STAZ-ON INK PAD. For several minutes. That’s my arm. 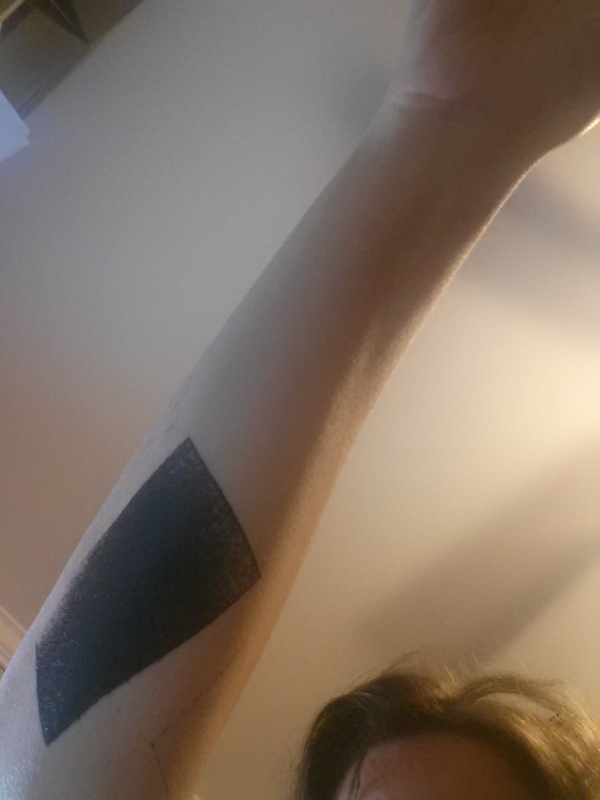 With a big, black, permanent rectangle. And an outline of a rectangle. I’ve tried to get it off. But, it didn’t come off. Tomorrow is gonna be a long-sleeve day. And, if you wanna see if I actually survive my hobby until the weekend, check back THIS SUNDAY for the Next Installment of the BEST OF stamp tour. This month we will feature ‘Best of Flowers’. Well… Up until SU posted the color refresh, I knew what stamp I had to use for this month’s Stamp of the Month Blog Tour, but had NO IDEA what color pallet to use. The color refresh got me to thinking that I should use some the colors I loved, but have kinda ‘strayed away’ from in light of the new in-colors and what have you. Kinda feel sorry for the ‘main-stay colors’ Though moving from an IN-Color to a color collection definitely must be a promotion…. I would think the color collection colors must feel, hum, how shall we say, over-looked in the newness of things? The ‘red-headed step child’??? NEVER. I could not imagine… but alas, I was at fault for LOVING our in colors and not always remembering to use the main-stays. Forgive Me. I hope there are no hard feelings. The color scheme is the now retiring More Mustard and Riding Hood Red. And, I also used Soft Suede (not retiring). I did the bottom and right card in the ‘one-sheet-wonder’ technique. This is an AWESOME technique. if you have never tried it. 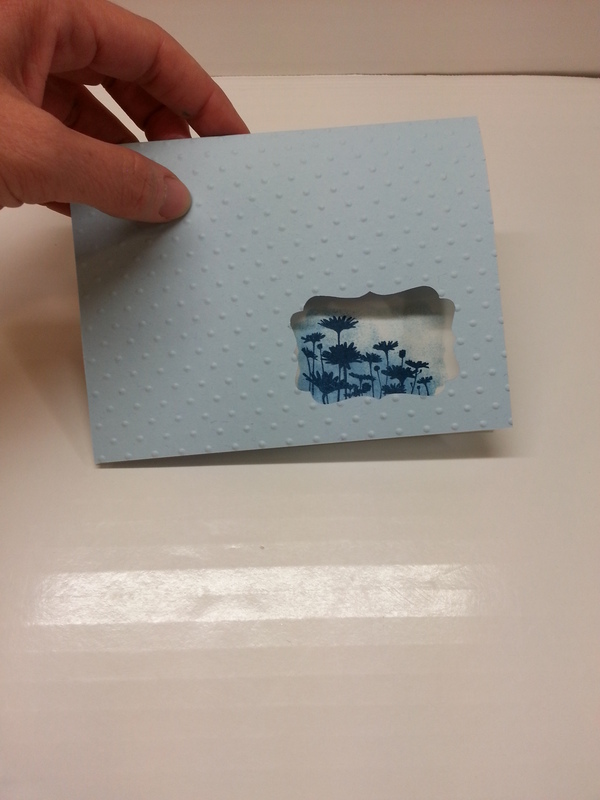 You stamp a sheet of whisper white or very vanilla ALL over with your images. Then you cut it and use it like a dsp. And the two cards are basically the same… just the exact opposite in composition… The bottom one has a dark background and light strip, and the right one has a light background and dark strip. Then, flipped from horizontal to vertical… SO, you can see how different you can make a card look just by altering something VERY simple. This one-sheet-wonder technique would let you make SETS of cards (think gifts, favors, etc… Mother’s Day, Teacher Appreciation, and END OF SCHOOL is COMING! 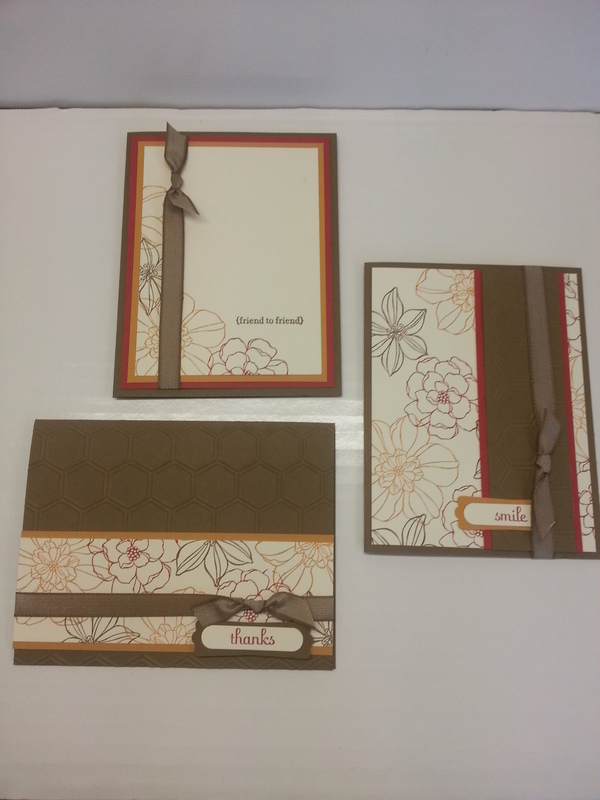 !–and as a teacher, I can say, a set of beautiful, hand-made cards would be an awesome teacher appreciation gift!!). ANYWAY, I digress… here are some closer pictures. Here is the companion card. 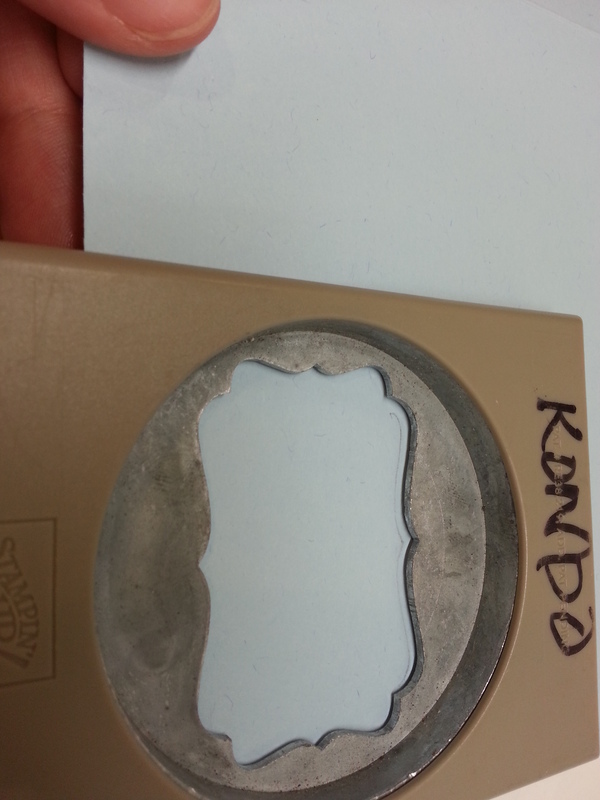 I trimmed the label tags to just peak out under the ribbon…. 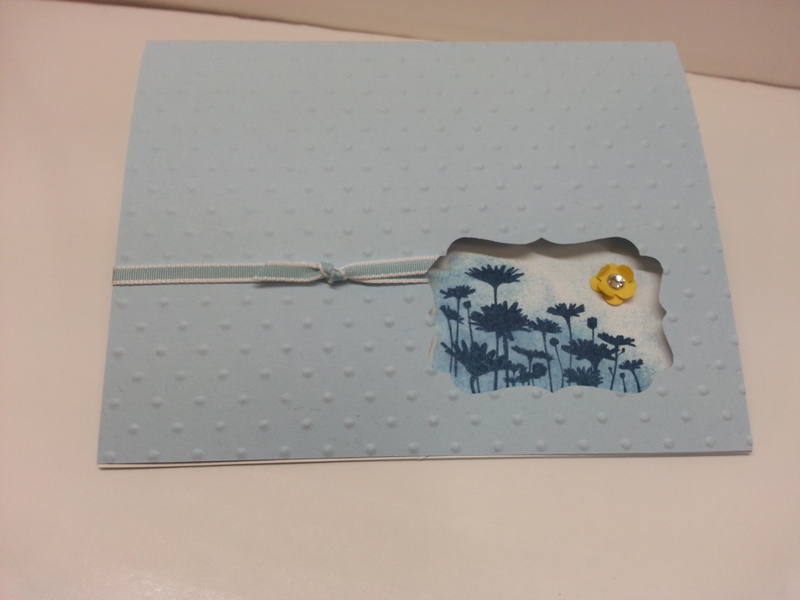 I also have to show you the 3rd card I made…My inspiration for this one was a invitation I made for my mother-in-law’s 50th birthday party using the Fifth Avenue Floral Stamp set from a couple years ago. I enjoyed that set. And, I was happy to see this one, cause it pays homage to a wonderful stamp set (this one is NICER cause it has both outline and solid stamps…AND FRAMELITS). 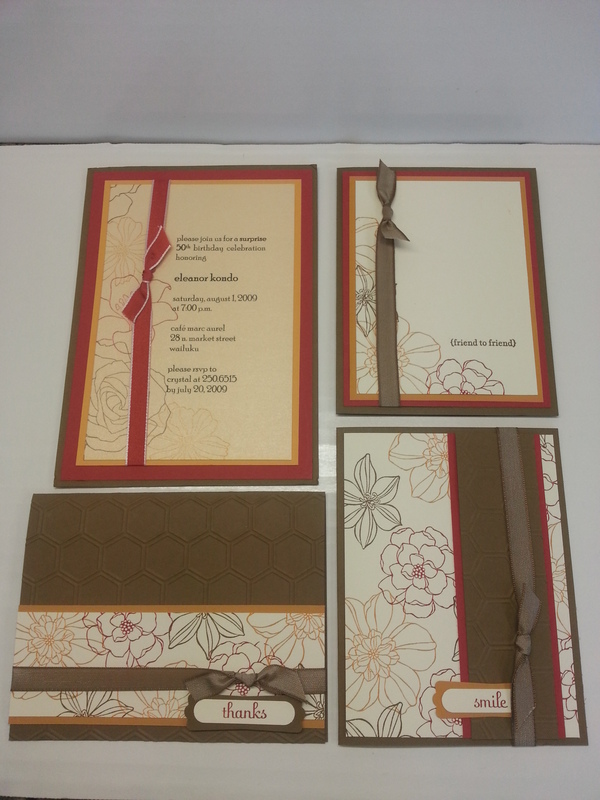 Here is a picture of all the cards, including the invitation from a few years ago…just so you can see. Click on the image here to take you to the next blog. If it doesn’t work, there is a list of the people on the tour… you can move along ‘old school’. As she mentioned, accessories in these colors WILL GO QUICKLY (ie, ink refills, paper, ribbons, markers, brads, ANYTHING that has matching of these colors). So, if you need to replenish your supply, don’t wait until the retired accessories LIST is released.